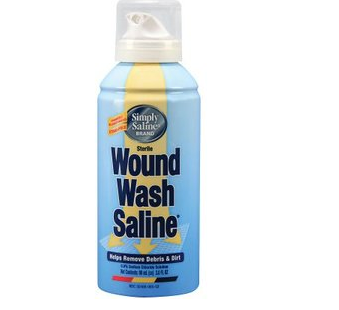 Wound Wash Saline BUY Saline Wash, Wound Saline, Saline Spray, B8552, B8553, Wound Wash.
3 Ounce Spray Can - SHIPS FREE! 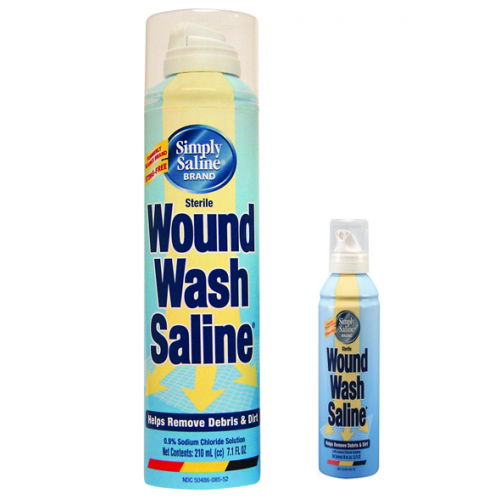 Wound Wash Saline was formulated by Blairex Labs and is now manufacturer by Church & Dwight. Church & Dwight Wound Wash Saline is a sterile saline solution (0.9%) for Wound Flushing and Cleansing. 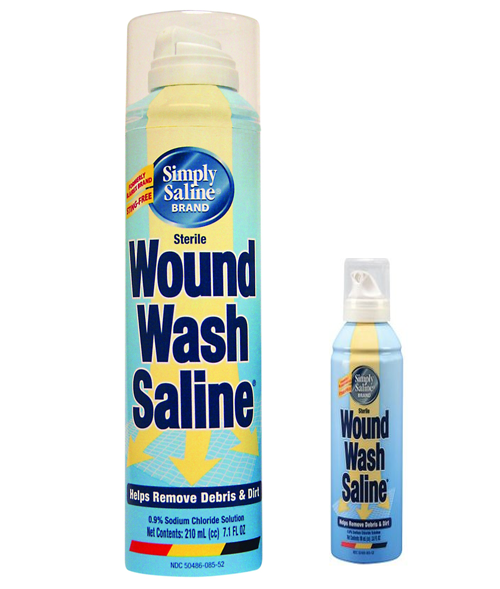 Wound Wash Saline is a convenient, effective and easy to use, just point and spray. The can has unique 360 dispensing allowing you to hold the can in any position. No syringes, needles, bottles of saline or transfer cups needed. Church & Dwight Wound Wash Saline is environmentally friendly and preservative-free. Wound Wash Saline requires no prescription. Contains no harmful propellants released in solution or atmosphere. Contents remain sterile throughout the life of the can. Clinically-proven pressure removes bacteria and debris. Works painlessly and promotes healing. It is gentle as your own tears. Used for flushing and cleansing superficial wounds. Church & Dwight Wound Wash Saline Product Numbers: B8552, B8553. Size Options: 7.1 ounce and 3 ounce. Product does not ship to Hawaii. Helps the wound to heal. Use it all the time. Excellent product..does not sting…cleanses wound. The container does not contain enough liquid. There was no problem ordering, it arrived promptly and is the correct product. Use this for your wounds, you'll never go wrong! I usually use this to moistened wounds before putting bandages or dressing. I believe that this cleanses wounds and keep them bacteria free. Wound heals faster than usual when using this. It also does not sting or hurt when applied.